What does the BBC mean to you? For me (scandal aside, obvs) it stands for good, proper, ethical, but most of all balanced news. It does not, or it should not – to my understanding at least – be associated with bias, agenda, or ulterior motive. That’s not the point of the BBC. We all pay towards it (my thoughts on that are for another blog post, another day), and as such it should be representative of us all, or at least representative of the truth; it should be honest, reliable, and impartial. Can you see where I’m going with this? I know several bloggers have already criticised the recent programme ‘The Doctor Who Gave Up Drugs’. And now – a little late, because children – I’m jumping on the bandwagon. For anyone fortunate enough to have bypassed the bloody awful childhood affliction that is CMPA, why would they know anything about it? Why would they have educated themselves on something that doesn’t touch them? I wouldn’t expect them to, in the same way that I can’t claim to have any idea about the majority of illnesses which exist – because I’m lucky enough to remain blissfully ignorant. In the same way I’d never heard of cow’s milk protein allergy until my daughter was diagnosed with it. I’ve spoken to my husband, and he was the first to point out to me that if I did not have personal experience of CMPA, and was not therefore emotionally invested in the subject, it’s unlikely I’d care so passionately. He’s right, of course, but – sorry Darling – so what? Positive change is only ever brought about by the negative affects an issue has driving individuals to campaign for that change. The fact that this issue is personal to me does not make my argument any less credible or compelling. But passion aside, without that personal experience it’s unlikely I’d have any idea that there’s anything to care about – and that is the very reason I’m raging. The BBC is there to educate; we all know this, and as such they bear the huge responsibility that we trust them to do just that. On this occasion, they failed to adequately live up to that responsibility. Here was a perfect opportunity for a well-respected platform to use a very valid argument to promote the best possible way to help CMPA babies – whilst simultaneously thwarting the efforts of certain brands capitalising on their misfortune. How? Breastfeeding. Yet how many times was breastfeeding mentioned as an alternative to CMPA-suitable formula? Not once. You’d be forgiven for coming away from the programme believing it’s not an option at all. But not only is it – it also happens to be the best thing we can do for our poorly babies. It’s entirely true that there’s a distinct lack of education surrounding the subject (and that we have to fight first for diagnosis and then for ongoing support – if it’s ever forthcoming, because it wasn’t for us). I also believe the fact that companies who create CMPA-suitable formulas only sponsor educational events with the sole intention of lining their own pockets – and that it furthers their cause to diagnose as many babies as possible. Which is in itself a very questionable practice given that it’s actually illegal to advertise infant formula to the public. So yes, in that sense what Dr Chris Van Tulleken discusses is both valid and a genuine concern, as are many other issues he raised. For example, I agree that in many cases we too readily use drugs. I also agree that the ethics of large corporations are often misaligned with personal values. But with a single sentence the BBC could have not only driven home Dr Chris Van Tulleken’s point, but also added value to the programme, made it more balanced journalism, and promoted nursing. 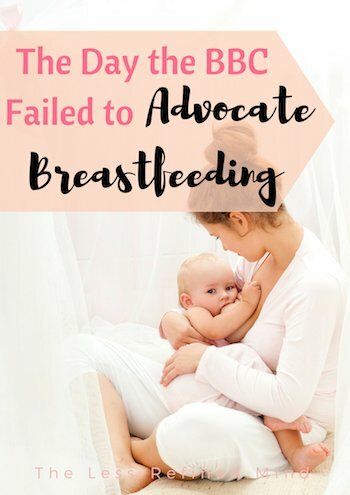 By simply stating that breastfeeding is a beneficial, desirable, and superior alternative to CMPA-suitable formula, he’d have made his argument loud and clear – whilst at the same time acknowledging us mothers who selflessly restrict our diets for months or years in order to keep our babies well. Nobody owes us anything, but as a mother who did it for almost a year, make no mistake: it’s damn hard. And it’s demoralising and plain disappointing when the BBC – a corporation trusted for their transparency – fail to raise awareness in a constructive way which supports, advocates, and endorses breastfeeding. On a personal level, I found it insulting. As a nation, our nursing rates are dreadful. I can state this confidently because last year I was privileged enough to be on a press call about it with UNICEF and the WHO. I imagine the BBC had a journalist on that call too. And let me tell you, if I had their platform, I’d be using it to further that cause. This was the perfect opportunity to do so, and it was overlooked in the name of what appeared to be sensationalist reporting. I wonder how much editorial control Dr Chris had because quite frankly, I’m left baffled and bemused that a doctor would discuss infant formula, yet neglect to mention breastfeeding at all. Particularly since in this specific context it’s not only a valid balancing point, it’s actually the solution to the very issue raised in the programme. Shame on those who approved this flawed narrative. I haven’t watched the programme (we cancelled our TV license years ago – we rarely watched live TV and so I resented paying so much, especially when it only went to the BBC, when other places are providing equal, or not better, content these days!) So I can’t really comment on the programme itself. But what I do want to say is that you are absolutely right when you say that it is only when those of us who have had negative experiences speak up that change happens! When you’ve experienced something negatively, you become passionate about ensuring it changes. There are many things I’m passionate about for this very reason, and breastfeeding support is actually one of them! I had to give up at 3 months, because I had major oversupply issues and nobody seemed to want to help me. In fact I seemed to know more than the Health Visitors! But I still needed their support, especially as I desperately wanted to continue feeding. But it was negatively impacting me and my baby. 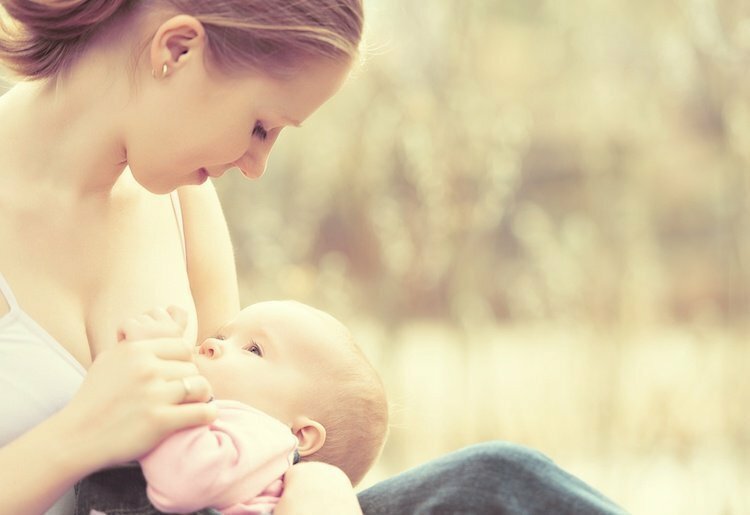 Breastfeeding is hard, and so when the support doesn’t exist it becomes even harder. But that doesn’t negate the benefits of it. So to not even acknowledge breastfeeding as an option in a programme that mentions feeding a baby seems beyond absurd! I’m sorry that the BBC failed so spectacularly in this way. I completely understand your anger over it, even though our experiences are very different. Keep on raising awareness, because it’s parents sharing things like this that will make the change. Thanks Amanda, I’ll keep trying but it often feels a losing battle to be honest. Too many people are offended because of their personal difficulties. It’s a really tough subject to discuss in a detached way unfortunately.